Are you looking for a suitable conference hotel in Baltimore (MD) for your next meeting or event? Use our free and convenient service in Baltimore (MD) and receive comparable proposals directly from the chosen conference hotels in Baltimore (MD) with just one online request and save a lot of time. The list below shows you the most popular Baltimore (MD) conference hotels as well as conference venues in Baltimore (MD) and gives you details about the hotel and its conference facilities. By clicking the name of the hotel you can view even more information, pictures or videos. Select your preferred hotels to start your free and non-binding online enquiry and you will start receiving your hotel proposals within a couple of hours. Baltimore is the largest independent city in the United States and the largest city and cultural center of the US state of Maryland. Baltimore is also one of the most important exhibition cities in the USA. For this reason Baltimore is also one of the most important places for Meetings, Conferences and Congresses. Baltimore is served by Baltimore-Washington International Thurgood Marshall Airport, generally known as BWI. Have you decided to organize your next conference in Baltimore and you just need the right place to be. With my-conferencehotel you easily find suitable conference hotels in and around Baltimore. Have a look at our meaningful hotel presentations for the city Baltimore. We are happy to present you some of the best conference hotels in the city. If you have any questions please do not hesitate to contact somebody from our Team. 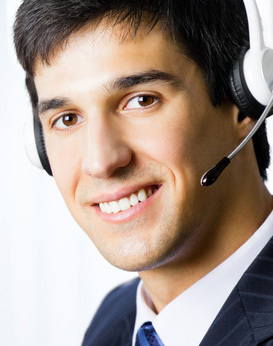 Our trained Sales Manager kindly helps you with your search. The Venue finding service from my-conferencehotel is naturally free of charge and not binding. Haven't found an adequate Baltimore (MD) conference hotel in our list or want to propose a different conference hotel? Please contact us! May we assist you with planning your conference in Baltimore (MD)? Call or email us to benefit from our experience and use our free service to find suitable conference hotels in Baltimore (MD) or in other destinations around the world. You will receive comparable offers directly from the hotels within a couple of hours.